Situated by the sea, this hotel is 0.3 mi (0.4 km) from Zoutelande Beach and within 6 mi (10 km) of North Sea and Domburg Beach. Westkapelle Beach and Marie Tak van Poortvliet Museum Domburg are also within 6 mi (10 km). 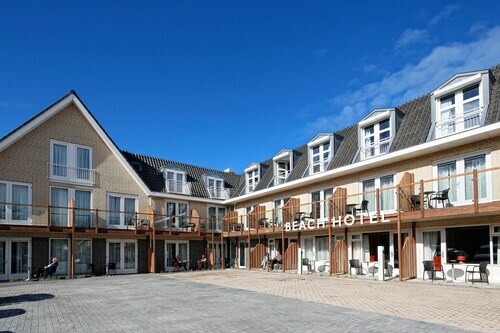 Situated in Zoutelande, this hotel is 0.1 mi (0.2 km) from Zoutelande Beach and 2.7 mi (4.3 km) from Westkapelle Beach. Domburg Beach and Marie Tak van Poortvliet Museum Domburg are also within 6 mi (10 km). This family-friendly Zoutelande vacation home is located by the ocean, within 2 mi (3 km) of Zoutelande Beach and Westkapelle Beach. Domburg Beach and North Sea are also within 6 mi (10 km). This family-friendly Zoutelande property is located by the ocean, within 3 mi (5 km) of Zoutelande Beach and Westkapelle Beach. Domburg Beach and North Sea are also within 6 mi (10 km). How Much is a Hotel Room in Zoutelande? Hotels in Zoutelande start at $103 per night. Prices and availability subject to change. Additional terms may apply. Visitors in Zeeland who are seeking a place to stay in Zoutelande have a wide range of options. If you want to take the path less traveled in Zoutelande, Travelocity offers 18 unique places to stay within a short drive of the main center. Zoutelande's urban core is close to a range of hotels like Fletcher Zuiderduin Beachhotel and Beach Hotel. Investigate the Hotel Manoir du Dragon or the La Réserve. The Hotel Manoir du Dragon is 14 miles (23 kilometers) outside of the middle of Zoutelande. The La Réserve, is only 14 miles (23 kilometers) away. Another two hotel options in the surrounding area are the Charl's as well as the Hotel Approach. You could spend some time checking out Oostkerk and Miniature Walcheren, in Middelburg, 6 miles (9 kilometers) to the east of Zoutelande. 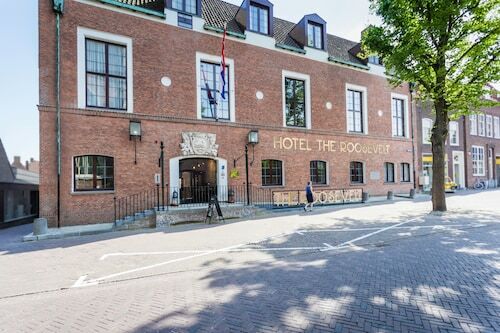 The Van der Valk Hotel Middelburg and Hotel aan de Dam are just some examples of the Travelocity accommodation options in Middelburg. 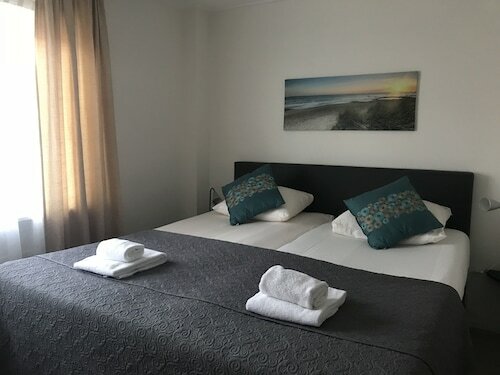 Alternatively, you could consider staying at Vlissingen, 5 miles (9 kilometers) southeast of Zoutelande, where you can pick from the Hotel Restaurant Piccard and Golden Tulip Westduin Vlissingen- Koudekerke. The Maritime Museum and Het Arsenaal are a couple of the frequented attractions to explore in Vlissingen. Ensure a serving of local sport with a voyage to Ahoy Rotterdam, which is located 50 miles (81 kilometers) to the northeast of Zoutelande. Stay in the middle of the action at the Mainport or the Hotel New York. Situated 45 miles (76 kilometers) away from the city center of Zoutelande is Antwerp International Airport. Find nearby rooms at Hotel De Witte Lelie or Firean Hotel. Luxurious Studio , a 1-minute Walk From the Beach! Tasteful Apartment in the Centre of Zoutelande, 50 Meters From the Beach!